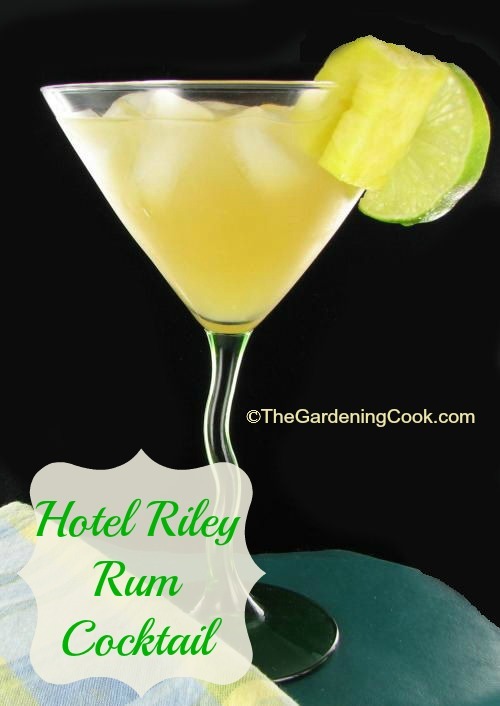 Hotel Riley Rum Cocktail – Vacation Time! Let’s enjoy another of my delicious tropical rum cocktail recipes! This one is so, so delicious. The Hotel Riley Rum cocktail combines vodka, amaretto and coconut rum with the refreshing taste of lime and pineapple juice. Ready for a trip to the tropics? One sip of this amazing drink will have you thinking that summer is here and vacation is near! You will feel that you are on vacation, for sure! For some reason anything with coconut rum in it has a holiday feeling to me. Add some Amaretto, lime juice and pineapple juice and shake away in a cocktail shaker. You can garnish with both lime wedges and pineapple chunks for a really festive look. For more great cocktails, please visit my Cocktail hour board on Pinterest. The Hotel Riley Rum cocktail combines vodka, amaretto and coconut rum with the refreshing taste of lime and pineapple juice. Combine the vodka, coconut rum, amaretto, lime juice and pineapple juice in a shaker. Shake well and pour over the ice. Garnish with a chunk of pineapple and a slice of lemon.